Adult Models: Add Live Camming and VOD To Your Website! Vuier makes it incredibly easy for adult models to make money directly off their website. Vuier has two ways that models can earn. Vuier models can upload their adult clips and make money by selling them directly from their website, or by sharing a link. Models can also set their price-per-minute for cam shows and make money from live streaming. Vuier is insanely easy to use and you can add store items or your chatroom to your website in a matter of minutes. Here’s all the details. Selling VOD videos with Vuier is incredibly simple. All you have to do is upload the content to the admin area of the site. Simply upload the video file, set the price, give it a title and description and a thumbnail or preview if you want to. Vuier will generate the store link and embed code for you. You can either embed the store link into your website or blog, or alternatively you can share the Vuier store link directly. Your customers will be able to access the video an unlimited number of times as long as it’s from the same browser and/or device. They’ll have to repurchase if trying to access the video from anywhere else. Vuier also offers pay-per-minute live streaming. Setting up the live stream is simple. When you log into Vuier, there’s an area in the admin section that allows you to setup your webcam feed. Give your room a name and set the price per minute you wish to charge. Once you hit the Start Live Session button your paid chat session will start. You have the option of sharing the link with your fans or adding it to your website. When your fans see your embedded chatroom or click on the link, they’ll be promoted to enter the number of hours they want to charge for and will gain access to your show. Need A Website To Add Store Items / Webcam To? Check Out WordPress! If you’re wanting to build a website to embed your store items into, WordPress is a great option to consider. WordPress is the most trusted CMS (Content Management Systems) and powers tons of websites all over the globe. The WordPress software is free to download and install, and all you need is a domain name and hosting. WordPress is insanely easy to build sites with and it’s easy to add tons of different features and functionality to your site. Learn how to design with WordPress using the article linked-to below. Qualified models can even get their own sites built by Vuier. Your Vuier site will include all your store items and your webcam feed. You can easily manage all the content from the backend admin area of your site. Adding new content to sell ins a breeze. It’s all handled directly from your website after you’ve logged on. You can manage multiple categories and/or multiple models if you’re running a studio site. The website builder is insanely intuitive and there’s plenty of resources to help you build out your site. To apply for a website, simply email the administrators after signing up for Vuier. Vuier also has a built-in affiliate program for models that want to opt-in. If you opt into affiliate promotion, each webmaster will be able to access a special embed code for your uploaded videos. This gives them the opportunity to embed them into websites and promote the content. If the affiliate promotion results in a sale, they’ll get a percentage of that revenue. Affiliate programs can be very profitable to producers. With affiliate promotion, the affiliate only gets paid when there’s a sale. That means you’re not paying for marketing that doesn’t work. The only time you have to pay is when a sale occurs, which means you’re making money as well. The affiliate commission is 15%. Get Started With Vuier Today! Ready to get started with Vuier? Signup today! The registration process is quick and simple and you can start earning right away. 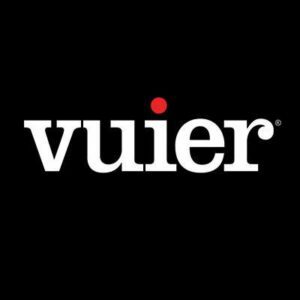 Vuier is the only VOD platform for amateur models. Their platform is insanely simple to integrate into websites, or you can share your store links directly. Also host your very own webcam show. Embed your live cam feed into your website, or share the links with your fans. Models that want their very own website built with the Vuier website builder should inquire about it after registering. Get started now!